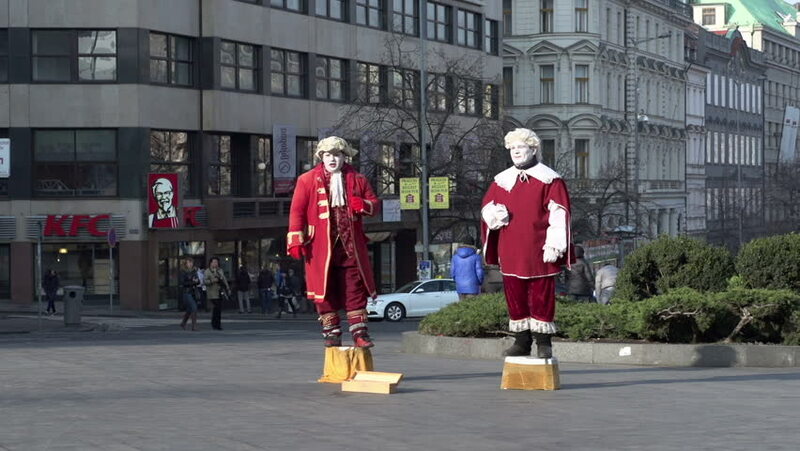 PRAGUE, CZECH REPUBLIC - January 21: Two men posing as historical figures in Prague, Czech Republic on January 21, 2015. 4k00:12MACAU, CHINA - DECEMBER 2016: city traffic street crosswalk day time panorama 4k circa december 2016 macau, china. hd00:30LONDON, UK - JANUARY 1: Participants in London Parade pass by on January 1, 2012 in London, UK. London Parade is held every year on New Year's Day. hd00:30Large group of students of mixed ethnicity leaving their university or college building at the end of the day. In slow motion.